Certify your entire office and be promoted to our network of nonprofits, our social network and on Realty Times. 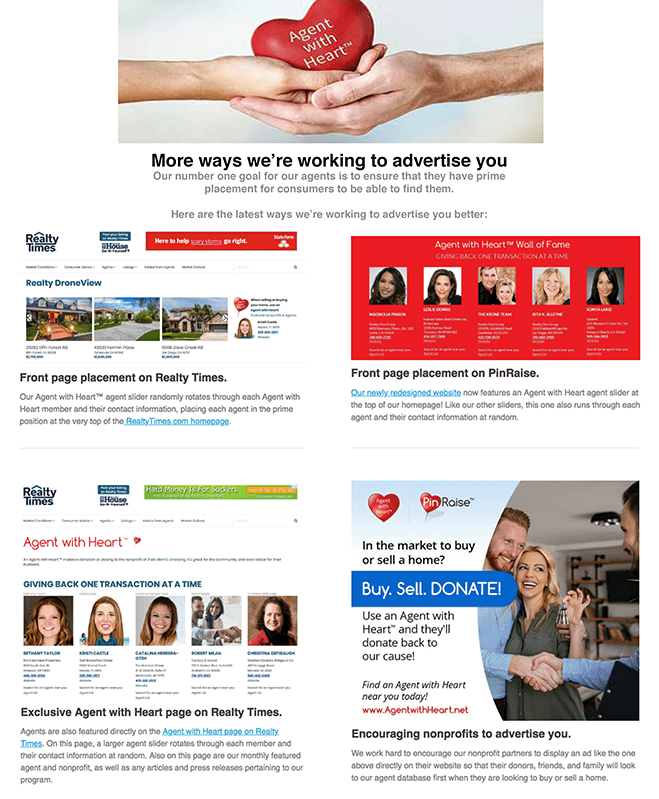 The Agent with Heart™ program is a marketing platform designed to recognize the generosity of real estate brokers and agents who give back to their communities. Participating agents pledge to donate an amount decided by them to the nonprofit of their client’s choosing at close of escrow. The entire office participates – Brokers and their agents receive the appropriate designation. Clients love that they can feel good about selecting a real estate agent they know will support a cause close to their heart.